Paul Cornell has written Doctor Who for the BBC, Batman & Robin for DC, and Wolverine for Marvel. He has won the BSFA Award for his short fiction, the Eagle Award for his comics, and shares a Writer's Guild Award for television. He is one of only two people to be Hugo Award nominated for all three media. A Better Way to Die is his first ever short story collection, providing a comprehensive overview of his work. Featured here are both his contributions to George RR Martin's Wildcards series and all the Jonathan Hamilton stories, including "One of Our Bastards is Missing", shortlisted for the Hugo Award in 2010, and "A Better Way to Die", winner of a BSFA Award in 2011. With an introduction by John Scalzi, the eBook edition contains 21 stories, representing almost all of Paul's published short fiction to date. None. We do not have enough historical data to make any recommendations. Log In to track Paul Cornell on eReaderIQ. 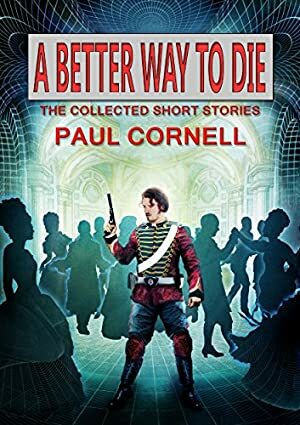 to be notified each time the price drops on any book by Paul Cornell. to stop tracking Paul Cornell. Log In to track John Scalzi on eReaderIQ. to be notified each time the price drops on any book by John Scalzi. to stop tracking John Scalzi. We started tracking this book on June 24, 2015. This book was $4.92 when we started tracking it. The price of this book has changed one time in the past 1,396 days. The current price of this book is $6.59 last checked 3 months ago. We last verified the price of this book about 3 months ago. At that time, the price was $6.59. This price is subject to change. The price displayed on the Amazon.ca website at the time of purchase is the price you will pay for this book. Please confirm the price before making any purchases.